What if we told you that you do not need to visit the beauty salon anymore to get rid of your upper lip hair? Yes, you heard us right! Do not let the hair on your upper lip embarrass you anymore. Finding a simple solution that will last long is not out of reach now, because this article has all the answers for you. Tried various expensive products to get rid of your lip hair, but were unsuccessful in getting an effective solution? Hair growth on the upper lip is as common as the hair on your scalp, but in some women, hormonal imbalances can cause upper lip hair to grow more than normal. 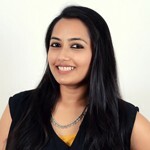 Read on to know if you fall into that category, after which we shall delve into the home remedies that will work wonders in removing upper lip hair. What Causes Lip Hair Growth In Women? The phenomenon of hirsutism, or unwanted hair growth in females, is caused due to many factors that may be hormonal or genetic, or even a combination of the two. Generally, around 5-10% of women have a problem of hirsutism. There are no determined causes of this condition, and the research is still underway (1). Following are some of the home remedies that can help you remove hair from upper lip naturally. Take a look! 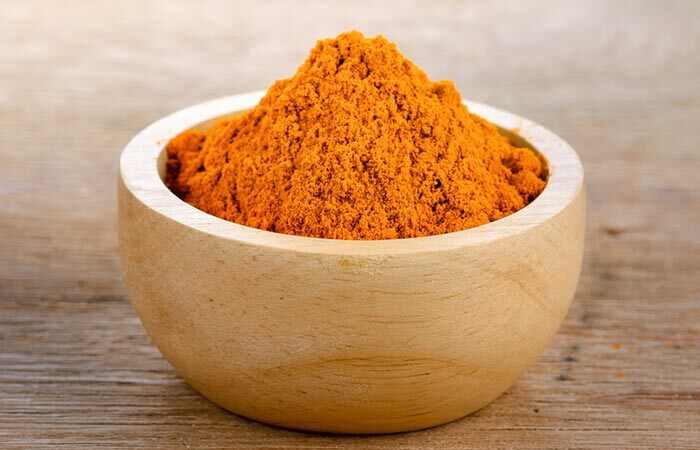 Mix the turmeric powder well with either water or milk and apply on your upper lip. Once it has hardened, rub it gently and wash it off. Do this once every few days for a couple of weeks. Turmeric powder has often been used as an ingredient in beauty products. It cleanses your skin, beautifies it, and ensures that you glow all the time (2). Milk is also beneficial for your skin where its lactic acid content exfoliates the skin, and its amino acids moisturize it (3). The combination of these two can help in removing upper lip hair naturally. Do not use milk in this remedy if you are allergic to dairy. 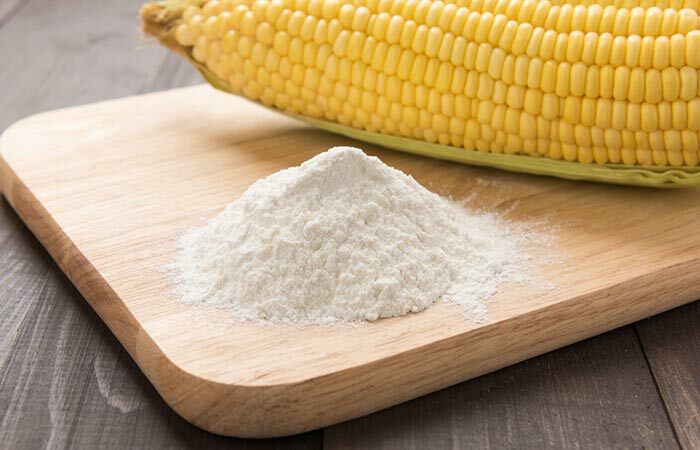 Take the egg white and mix it with the corn flour and sugar. Whisk the mix until it forms a sticky paste. Now apply the paste on the upper lip region. Let it dry for around 30 minutes and peel it off. Repeat this twice a week. Within a month, you will notice that the hair growth has considerably reduced. 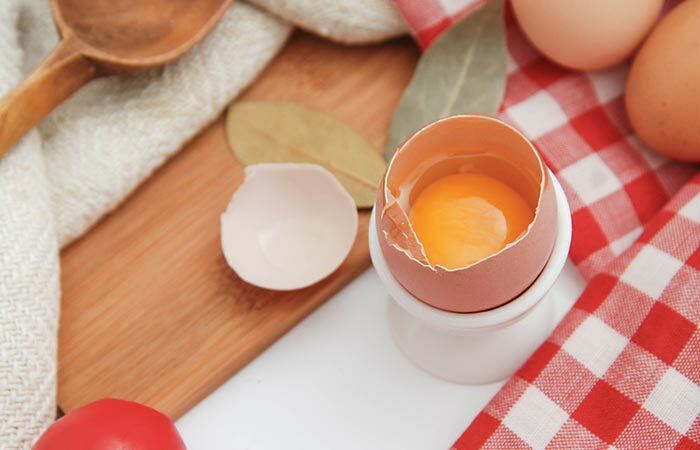 Egg whites are another good remedy for upper lip hair. It soothes your skin while at the same time helping you dislodge the hair from its follicles with the enzymes it contains (4). Mix the flour with a bit of water and turmeric. Blend well. Apply on your upper lip and wait for it to dry. Scrub it off against the direction of the hair growth. Apply this on your upper lip area twice a week. 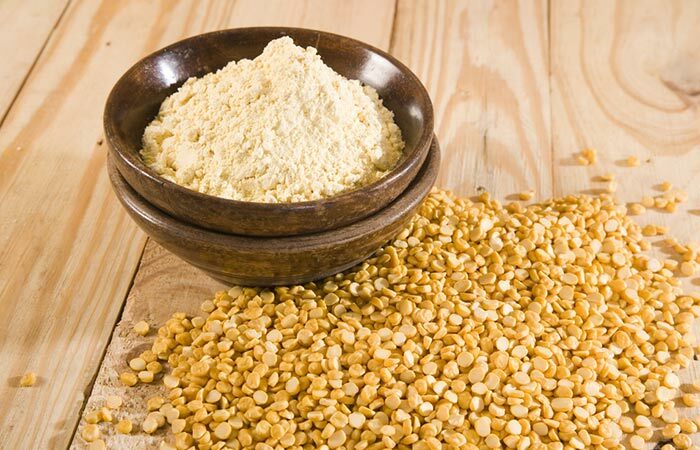 Chana dal flour is also an excellent ingredient to remove unwanted hair effectively (5). Take the sugar in a pan and let it heat for a minute. Now, add the fresh lemon juice. Stir till it forms a thick liquid. When it has cooled down, apply on the upper lip region. Now, take a piece of cloth and gently put it over the applied paste. Rub in circular motions. Pull it off quickly against the direction of the hair growth. Use this simple homemade hair removal solution as and when required. 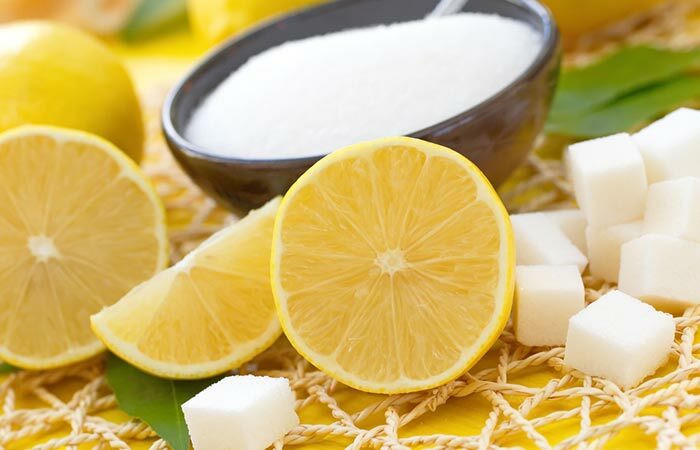 Sugar is quite well known as an ingredient that is used for painless hair removal. It not only removes unwanted hair but prevents its growth as well (6). Take the yogurt, besan, and turmeric in a bowl. Mix it well and massage the upper lip with this paste. Wait for about 15-20 minutes. Rub it off gently. Repeat this twice a week until the hair growth on your upper lip is entirely unnoticeable. 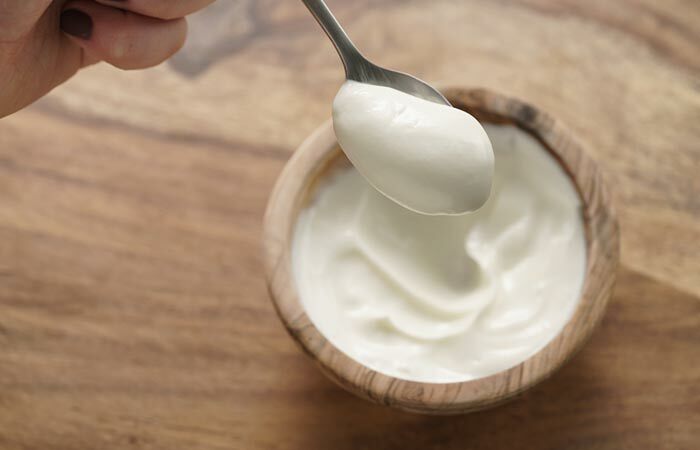 Yogurt, besan, and turmeric combine to form a smooth mixture that when scrubbed off takes with it the unwanted hair on your upper lip. This is because these ingredients absorb all the impurities that have been clogging your pores. This causes the upper lip hair to become loose in their follicles (7). Apply on the upper lip area and wait for it to dry. Once dried, slowly peel off the mask. Use this hair removal pack every 3-4 days for best results. This is one of the easiest and simplest methods of upper lip hair removal. Applying the pack loosens up the hair follicles, and the hair can be easily removed when the mask is peeled off (8). Squeeze the lemon and add the sugar to it. Stir well until it becomes a paste. Once the paste is ready, apply it all over the upper lip. Let it dry for 15 minutes and wash it off with water. Apply this paste every alternate day. Lemon contains acids that have bleaching properties and lighten the hair on the upper lip (9). 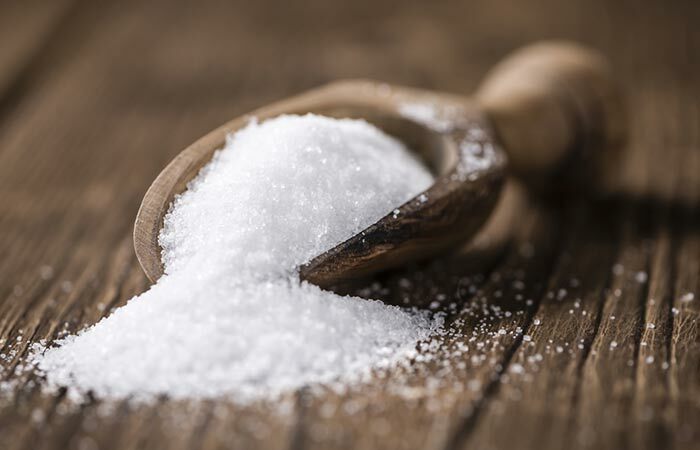 Sugar helps to exfoliate the skin and makes the hair loose in their follicles, hence they easily detach from the skin (10). Take the chamomile tea bags and put them in a saucepan. Now, pour some water into the saucepan and bring it to a boil. Once it has boiled, remove the saucepan from the heat. Let the tea bags steep for around 30 minutes. Throw the tea bags away and pour out only half a cup of tea. Now, pour a cup of water into a saucepan. Add some water to the chamomile tea you just extracted. Add the sugar and the lemon juice. Stir well. Heat the mixture till it boils. Let it boil for a couple of minutes. Wait till the color turns darker. Now, you can remove the saucepan from the heat and transfer the mixture to a bowl. Let the sugar wax cool down. Don’t apply it on your skin when it’s hot. Use a popsicle stick to spread it over your upper lip. Then apply a waxing strip on it. Hold it for a few seconds and pull it off quickly. Make sure you pull in the opposite direction of the hair growth. Depending on how fast your hair growth is, use this remedy. It is advisable for the hair to grow to their full length before waxing so that all of them can be taken off at once. Many women these days prefer to wax at home, by themselves, instead of spending money at the salon. The stickiness of the sugar paste will pull the hair from its follicles and slow down growth with multiple uses (11). The addition of the chamomile tea bags is very beneficial as chamomile is soothing for the skin. It also has anti-inflammatory properties that will help the mild edema in your skin to quickly calm down after the waxing is done (12). 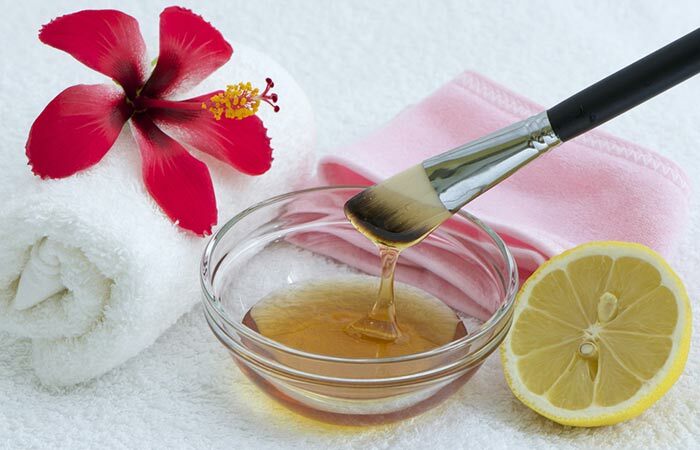 Apply a mixture of honey and lemon juice on the upper lip skin. Soak the washcloth in the warm water. Wring out the excess water and use this to gently wipe off the honey-lemon paste. In this home remedy for upper lip hair removal, honey works as a mild wax and helps to pull out the hair from their follicles (13). Whatever other minute hair remains are bleached by the vitamin C of lemon juice. So the hair becomes too light to notice. 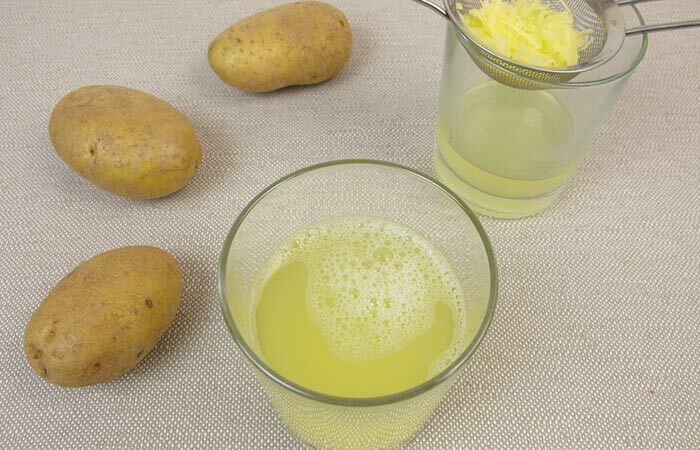 Strain them in the morning and grind them with the lemon juice and freshly extracted potato juice (from a grated potato). To this paste, add the honey and mix well. Apply this on the upper lip and let it sit for 15-20 minutes. Once dried, scrub the paste off. You can apply this hair removal mask on the entire face as well. This remedy will yield best results if used twice a week. Like most of the remedies mentioned above, the contents of this pack will unclog pores and pull away from the upper hair lip when scrubbed off from the skin. Potato juice acts as the hair bleaching agent in this blend (14). Make a paste with the ingredients and apply on the upper lip. Let it dry and then slowly peel this mask off. 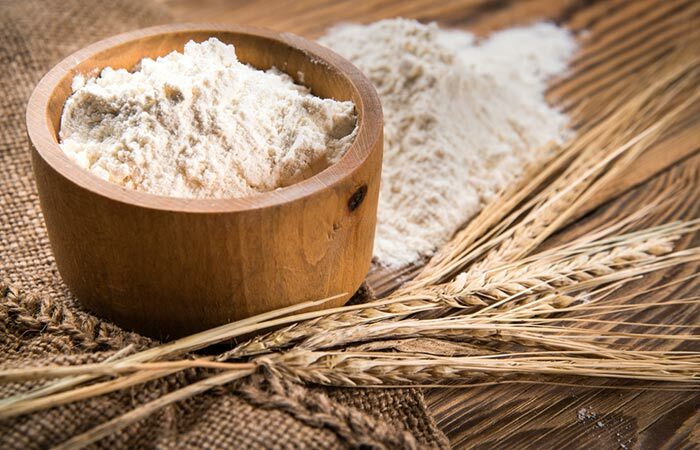 The corn flour and milk combination will stick to your skin firmly, and when peeled off, it will remove the hair along with it. Before we sign off, we would like to advice you to never opt for shaving your upper lip hair. When you shave your face, the facial hair is only removed from the skin – making it blunt edged. So when your hair begins to grow back again, it grows into stubble. And that can be a real spoiler for your beautiful face. Try the sugar waxing remedy if you are in a hurry. It’s a smarter alternative! Upper lip hair can be embarrassing especially when your natural hair is thicker. Give the remedies given above a go and watch your hair turn lighter, thinner, and fainter within a few weeks. Keep in mind that these remedies have to be regularly followed as recommended to show results. Now that you know how to remove upper lip hair naturally let us know if you’ll try out these simple remedies. Do you know of any other remedy for removing upper lip hair? Share with us in the comments section below! 5 Simple Ways To Remove Red Spots On Skin?